The John Singleton-owned Miss Fabulass (left) has raced up to her rich pedigree to win at Randwick. 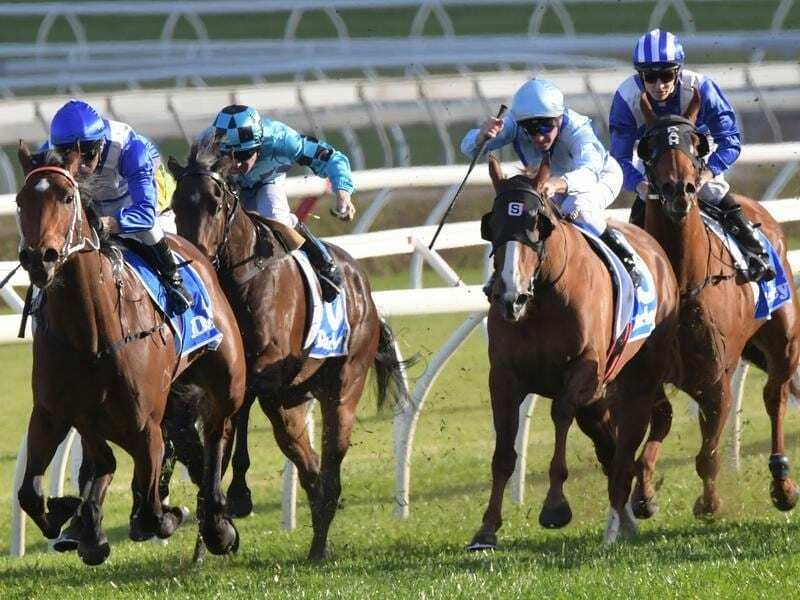 Sent out at $10 after a disappointing sixth a fortnight ago, the well-bred filly bounced back to shoot through a gap at the 150m mark and claim victory in the Group Two Tea Rose Stakes (1400m) by 1-1/2 lengths from Fiesta ($4.80 fav) . “He had plenty of horse underneath him,” Lees said. “She has the brilliance of her mum,” Lees said. Her jockey Kerrin McEvoy is confident the filly will run the 1600m of the Flight. “She’s obviously untried at the mile, but if we can just get her to switch off she is going to run it out really strong and be really hard to beat in that race,” he said.